Just Farmers » Any Benefits from a Change in Perspective? - JP loves LIFE! Just Farmers » Any Benefits from a Change in Perspective? I wrote a short post for the Just Farmers blog about a photo I saw on Facebook by Agriculture Impressions. Its a concept I’ve heard time and time again and even though my family hasn’t lived on a farm in several generations, I don’t feel “removed from the farm.” I am firmly rooted to the city. 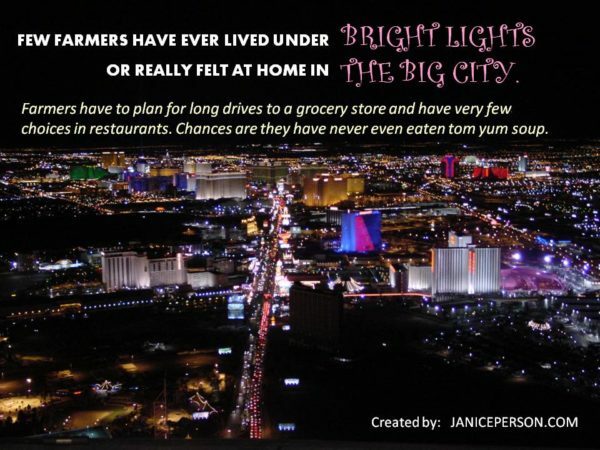 In fact, I sometimes feel most farmers are removed from the reality of today’s world with generations of people who are proud to be from the city. As I wrote, I decided to create my own photo with text to showing a little different perspective. 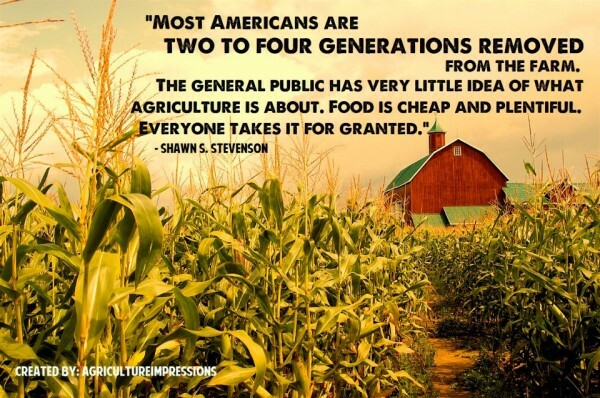 If farmers continue to view city folks as removed from the reality farmers know and city folks continue to see farmers as insulated from today’s world, can we move the conversation forward on things we all care about? Or do you think by taking some of the initial steps to understand the other’s perspective…. by focusing on the fact that we don’t understand things from another person’s point of view or by trying to see the world from where they sit, do you think we may change our own way of thinking? If you find the concept interesting, I encourage you to read the full post on Just Farmers it’s titled» Any Benefits from a Change in Perspective?. Maybe even join the conversation there! I live in a farming county. I grew up on a farm at a young age. I have never felt removed from the city. There is a time for both of them. Sure farming means long hours and dedication to your land, but it in no way way means you are detached from the outside world. That way of thinking seems a bit dated to me. From an era where tv’s were scarce and farming families didn’t attend school. I agree with you that both statements above should be explored more by both parties and they should learn that they are closer to each other than they think. Because both sides thinking the worst about each other isn’t doing anyone any good. Thanks for joining the conversation Jo! I agree, and I hope you know that the second photo was done a bit tongue and cheek…. not sure that knowing what tom yum is would make a difference. I think you are right detachment isn’t automatic on either side, but my point was more about understanding what others value and how they think to some extent so we can really have productive conversations. I’m seeing more and more people in the middle even if those on the extremes of the spectrum are loudest. Seeing more in the middle makes me look toward the future more positively for sure!